Hawthorn Suites by Wyndham Columbus-West is conveniently located in the Hilliard area, off I-70 and I-270. 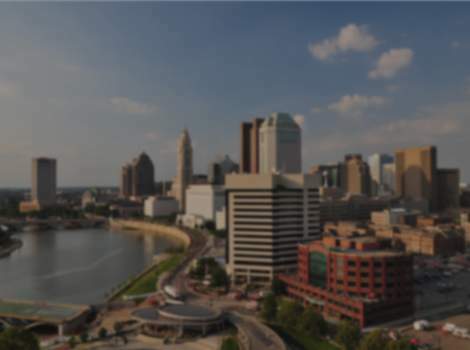 The hotel is located less than 10 minutes from the Greater Columbus Convention Center, Nationwide Arena and Vets Memorial; 15 minutes from The Ohio State University, Ohio Expo Center and Port Columbus International Airport (CMH); short drive to popular attractions such as COSI, Columbus Zoo and Aquarium and Zoombezi Bay Water Park; adjacent to a variety of dining, shopping and a local movie theater. Hawthorn Suites is a brand of Wyndham Hotels that provides more amenities and comfort for your money. Whether you need accommodations for a training class, corporate meeting, motor coach, relaxing gateway weekend or vacation, guests will find comfort and value at the Hawthorn Suites. Our property features unparalleled accommodations that will enhance a guest's stay. The Hawthorn Suites features 80 spacious two-room suites with a separate living room, kitchenette and bedroom. Amenities include a pull out sofa, two TVs, two phones with personal voicemail, work desk, free Wi-Fi Internet access, kitchenette stovetop, microwave, refrigerator, dishwasher, wet bar and coffee maker; equipped with pots and pans, utensils, iron and ironing board and hairdryer. Awake to our free, full hot breakfast buffet each morning and enjoy an evening social hour, offering a light dinner and drinks, Monday-Wednesday evening. Other amenities include an indoor heated pool and spa, newly renovated 24-hour fitness center, dry-cleaning service Monday-Friday and a guest laundry facility. Business travelers staying at this hotel will have the opportunity to enjoy our in-room business services, featuring an ergonomic chair and a work desk complete with data lamp, telephone, free local calls, personal voicemail and daily complimentary newspaper. Additionally, a conference and meeting space is available for rent along with catering, audio-visual equipment and fax and copy services. Dog guests must be under 40 lbs. Please provide a $75 fee per week of stay. Only two dogs are permitted per room.